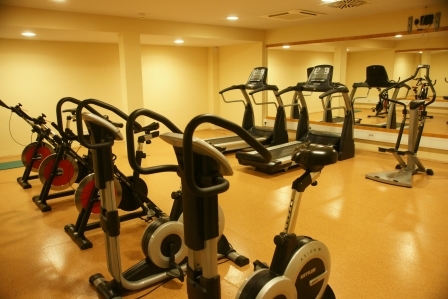 Hotel Princess is the place to be if you’re looking for a good quality hotel in Bar that’s conveniently located and has all the facilities you’d expect to enjoy a relaxing seaside holiday. The hotel itself has been around for a long time and was originally one of many government-owned hotels around Yugoslavia. Although some of these have fallen into ruin, the hotel was bought and is back to its former glory. Bar is typically a little off the beaten track for the majority of tourists in Montenegro, but as you can read about here, it's worth the trip if you’re staying for more than a few days in Montenegro. Get a discount Here when you use your Montenegro Explorer Card. The hotel lobby - ideal for soaking up some Montenegrin sunshine! Bar is the starting (or finishing point) of the train trip between Belgrade and Bar, so if you’re planning to do that trip, I’d recommend staying in Bar either the night before departure or on arrival in Bar. Ditto if you’re travelling on one of the ferries from Bar. The Hotel Princess has a kind of timeless charm to it. 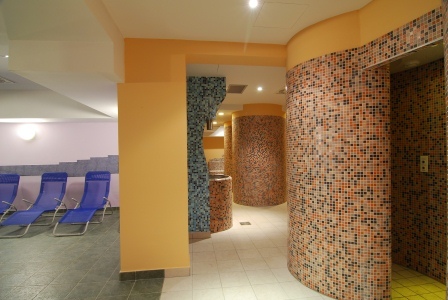 It conjures up the feeling of old Yugoslavia which is a nice contrast to the glut of ultra-modern hotels now on offer. I found the staff very friendly and the atmosphere was serene… a nice change from the non-stop beach and party atmosphere of other places along the coast. The hotel is located right next door to the town museum which is a former palace right in town. So you have shops, restaurants and everything you need on your doorstep. It’s also only 100m from the port, which is ideal if you plan to take one of the ferries to Italy, Greece or Albania. Hotel Princess has 135 rooms in total. 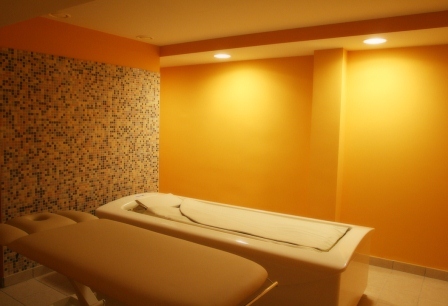 The rooms are comfortable and cosy and tastefully decorated in warm tones. 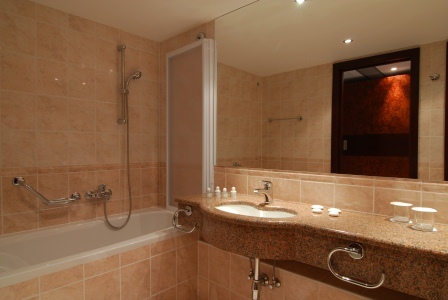 There’s a mixture of rooms and suites to choose from. They have all the standard comforts you’d expect of a good quality hotel - internet, mini bar and safe. The balconies are ideal for watching the sun go down over ocean from. 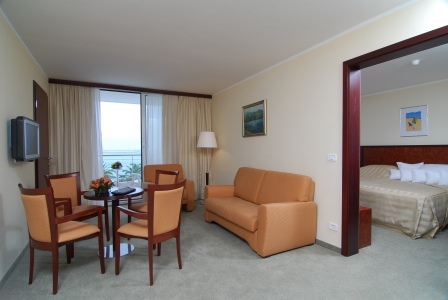 They also have wheelchair-friendly rooms, something most small, boutique hotels in Montenegro don’t do. 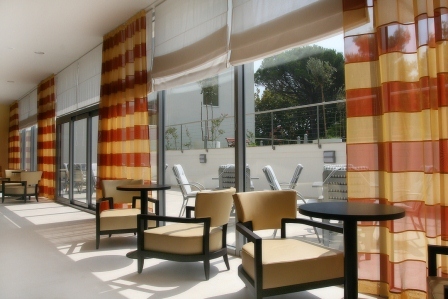 This hotel is located right on the seafront in Bar, so heading over to the beach is super easy. The port is about 100m away from the hotel which might not suit everyone. However, if you take the seaside footpath that runs along the front of town, you can head to the beaches a little further away from the port. 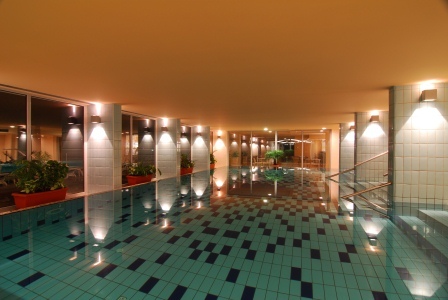 The hotel has both outdoor and indoor pools, so enjoying time by the pool, overlooking the ocean is no problem. 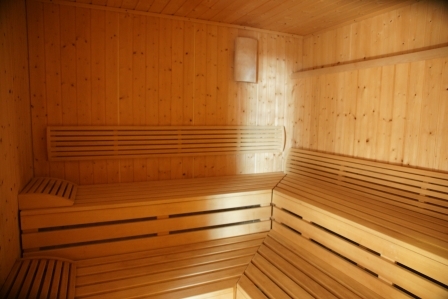 They also have a gym, saunas, steam rooms, spa treatments. 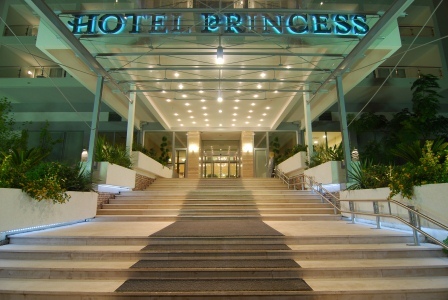 Hotel Princess is the ideal place for a conference. 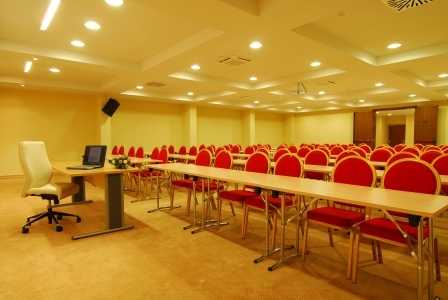 They have a range of conference rooms that are well equipped and can fit up to 150 people. They have an adjoining business centre so that your attendees can keep up to date with their work during conferences. They can also cater to any size conference party. 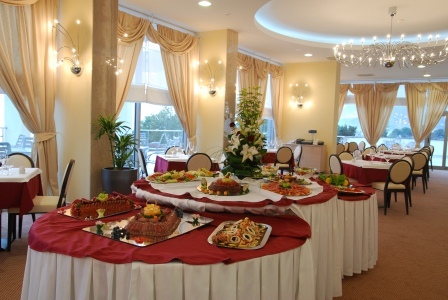 As well as the conference facilities, Hotel Princess has banquet halls ideal for weddings. They can cater to any size party with ease. Their outdoor terrace overlooking the ocean is especially popular for wedding parties. Guests can stay on site, use the pools and the beaches in front of the hotel. As Bar is so well connected by road, train and ferry, it’s the perfect spot for gatherings when you’ve got people coming from all different directions. Hotel Princess is open all year around. Enter your dates in the search box below to check availability for your stay.